Fed up with the international notion of ‘Irish Music’ as simply ‘Irish traditional music’, musicologist Axel Klein travelled from Bonn to the USA last October to try and change some American minds. He tells JMI readers how he fared. This is a kind of travelogue of a journey I made recently to promote my favourite hobby: Irish music. Musicology is not my profession, though I occasionally contribute research on Irish musical history to journals and books, in order to keep me busy and, well, just because I like it. So, for a few weeks in October 2004, I organised a lecture tour to the United States that began at Harvard and ended sixteen days later at Princeton, with five dates between Boston and Baltimore. I must say that I am getting increasingly fed up with the international notion of ‘Irish music’ as a purely traditional art (with some allowances in that world-view for pop music and a number of commercial variants of traditional music). 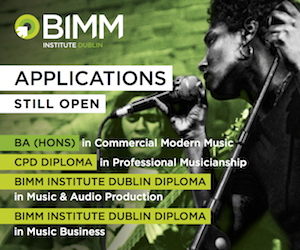 In particular, when it comes to academia, and I see that ‘Irish music’ in US universities is no different from the term’s meaning in the commercial marketplace, I get the feeling that change is overdue. So I took the bull by the horns, entitled three of my five lectures ‘Irish Music Redefined’ and offered them to Irish-American institutions along the North-East coast. There were two types of reaction. Firstly: silence. Even repeated silence after I checked back some weeks later. The other reaction was an intrigued, almost enthusiastic curiosity. While I was happy with the latter, I speculated why others didn’t consider it worthwhile to respond, since, in all modesty, I think a serious reply to a serious request is the least one can expect, especially when dealing with well-known places such as the Glucksman Ireland House at New York University, for instance. Perhaps, and in the absence of any better explanation, the idea of a new concept behind such an emotionally charged term like ‘Irish music’ was all too uncomfortable – especially when coming from a German with the apparent purpose of teaching Irish music to the Irish! But let me start at the beginning. My first lecture was to the 24th Harvard Celtic Colloquium. I called my paper ‘Celtic Legends in Irish Opera, 1900-1930’, and that certainly came as a surprise to the many people who wouldn’t know of any Irish opera, or of none in that period, or none using Celtic legends. So whatever can be said in twenty minutes about the works by William Harvey Pélissier (c. 1853-19?? ), Thomas O’Brien Butler (1861-1915), Robert O’Dwyer (1862-1949), Michele Esposito (1855-1929) and Geoffrey Molyneux Palmer (1882-1957) I squeezed into that paper. A particularly pleasant aspect of it was that Dorothy Africa, the conference organiser, asked two musicians to play excerpts, so we actually heard live some music from Eithne (1909) by O’Dwyer. A few days later, I had the pleasure of presenting a lecture in Boston College exclusively devoted to the achievements of Brian Boydell (1917-2000). I certainly had great expectations about this event, because, firstly, it took place in the self-proclaimed capital of Irish-America, and secondly, the location was the first Irish university in the United States and the home to a renowned Irish Studies programme. That programme is serviced mainly by the departments of English and History, and to a lesser extent by the Music Department. The teachers there are among those American professors of Irish descent who continuously provide the academic book market with studies and symposia on Irish cultural history. So I was particularly looking forward to making their acquaintance – and telling them that there was an aspect of Irish cultural history that they keep missing out on. Now, without wanting to appear ungrateful, I must say that I thank the twelve people who came to that lecture very much, I really did enjoy it. But twelve people is not many, especially for the capital of Irish-America and the home of one of the best Irish Studies programmes in the United States. And I do particularly thank Mick Moloney and Seamus Connolly, two well-known Irish traditional musicians, who came, listened, and talked to me, although Brian Boydell’s music is not their daily bread. 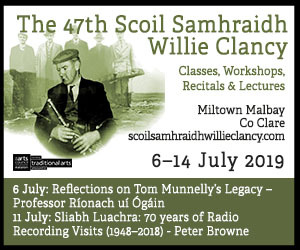 But I missed the History professors and the English professors, those writers of cultural histories who keep omitting Irish classical music from their books. I would simply like to challenge any author who claims to be writing a cultural history of Ireland and who defines culture the way it has always been defined in Ireland – as a literary history. There is not one book on Irish cultural history on the market that adequately addresses art music in the context of a broader survey. Considering that I made the effort to visit those knowledge-seeking authors in their home, why didn’t they come and listen? I have been told it was a bad time because there were baseball finals on the TV and the Boston Red Sox were fighting the New York Yankees and that’s a particularly popular battle. Well, everyone has to make priorities, but writing books on Irish cultural history and failing to include classical music because the authors don’t know any better must be made a matter of the past in the early twenty-first century. After all, my work is in fact on cultural history, and I insist that art music is culture too. My Boydell presentation started by playing short excerpts of 1940s music by John F. Larchet, Eamonn Ó Gallchobháir, Arthur Duff and T.C. Kelly, and just when everyone began tapping their feet to Kelly’s orchestral reel, I played the third movement from Brian Boydell’s first string quartet of 1949, nicely illustrating the singular position he had in Ireland at that time. My three ‘Irish Music Redefined’ lectures followed, with locations at the American Irish Historical Society at New York, the Peabody Conservatory at Baltimore and at Princeton University. The purpose of this talk was quite simply to make the case for art music in Ireland, to show that it has always been there and that it’s not the lack of that type of music in Ireland we should be worried about but a lack of perception and of goodwill. I designed this lecture not as an historical survey, moving chronologically through a list of major works, but rather as answers to unsolicited questions. I started out by wondering why German music, French music, English music, or American music, is not understood as traditional folk music in the same way as Irish music is. Why does ‘Irish music’ have the immediate sense of the ‘ethnic’ in it? Why can’t it be an art form as in other countries? Can it really be true that Ireland has been the only developed country in the Western world without classical music? One could notice some people at the lecture beginning to ask themselves the same question. My first answer was to the question: if Irish classical music exists, why have we never heard about it? That, is of course, a very difficult question. One quite simple answer is that up to about ten years ago there was hardly a CD of Irish classical music on the market, and still, hardly any Irish composer’s work is published in a modern printed edition. So I pointed listeners to the famous vicious circle that is in place here: composers aren’t published because they are unknown and they are unknown because they are not published. 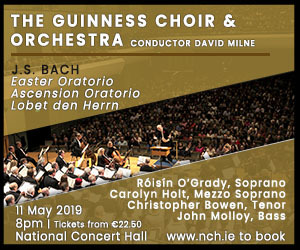 I then clarified that I would not talk about popular Irish orchestral sounds, sometimes mistaken as ‘classical’ music, produced by the likes of Shaun Davey or Bill Whelan or Patrick Cassidy, because all these have written music in the language of a period that is not their own. Incidentally, Cassidy styles himself as ‘Ireland’s most important classical composer’ (a quote from his website). This may come as a surprise to many people in Ireland, and I suppose that such a statement is only possible in an environment that doesn’t know any better – in this case, the American, as that is his main audience. As an explanation to a non-specialist audience it sometimes helps to seek comparisons with other arts and explain, for instance, that James Joyce couldn’t write like Jonathan Swift because there were 200 years of artistic development between them. For many Irish or Irish-related people it is appears to be difficult to imagine that the same process was at work in music. 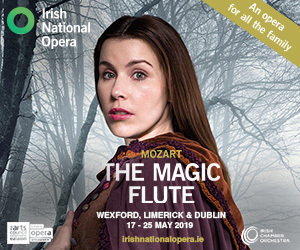 So why have most people abroad never heard of Irish operas and oratorios, symphonies and piano concertos, of Irish chamber music and art songs, say, from the eighteenth to the twenty-first century? One reason is that they wouldn’t expect to hear about them. They may go to a bookshop and look for a book by an Irish writer, but if they went to their record dealer they would not look for a CD by an Irish composer – rarely even in Ireland would this happen. We have inherited the conviction that Irish classical music is an impossibility, and there seem to be more reasons why this has to be so than why it shouldn’t be. First, Ireland has always been a poor country, which is of course why the ancestors of Irish-Americans emigrated in the first place. Secondly, Ireland was a rural society until well into the twentieth century, whereas classical music will mostly be found in an urban setting. Thirdly, appreciating classical music in any country requires a certain amount of academic education. Unfortunately, in Ireland for much of the time in the long period under British rule this was not available to the Catholic majority in the country. It is not surprising, therefore, to find a number of names in the history of Irish music that people from the country can easily identify as Protestant. Finally, it is indeed the troubled past that Ireland shares with England that contributes to the lack of knowledge about Irish art music in the world. As a result of the two or three decades before and after independence, when the country made all efforts to de-anglicise itself, classical music fell victim to politics that regarded classical music as un-Irish, as an imposed art-form that was associated with the protestant ruling classes. So it was more the lack of will than the lack of money that prevented any kind of official support for Irish art music in Ireland itself, a problem that countries of a similar size with regard to population numbers, such as Finland and Norway, never experienced. In Ireland, public support for art music only arrived late in the twentieth century when the general notion of Irish music was well established, not least through various commercial channels that defined what Irish music was all about. Of course, Irish composers of the eighteenth and nineteenth century did enjoy some public support, respectively the kind of aristocratic support that was usual in European monarchies, and compositions of all sorts and sizes were indeed published and performed, albeit limited in view of the colonial status and rural structure of the country. My second question was: have Irish composers (or the majority) in the past been Protestant Anglo-Irish? Without having counted them, and in fact, without even being interested in this question (I personally find it rather irrelevant), I answered I would say they probably have, from a purely quantitative point of view. This has changed dramatically in the twentieth century, but for the seventeenth, eighteenth and nineteenth centuries it is probably true. However, I asked the audience how they would describe someone who has been born in Ireland, grew up there, and possibly related to the country through his or her art, and so forth. Was Jonathan Swift not Irish, and Oliver Goldsmith, and Daniel O’Connell, and William Butler Yeats, and Samuel Beckett – because they all were Protestant? In drama and in other art forms it has been possible not to focus so much attention on faith and family heritage and, rather, to discuss works of art on the basis of their intrinsic merits. In our modern globalised and multicultural world one should expect this to be the normal case. Music, however, the ‘universal language’, has been the victim of post-colonial politics in Ireland and this has created differences, not unity. It is high time that we do something about it as inhabitants of the twenty-first century. I then deliberately confused my audiences by playing two recorded pieces of music. One was a very Mozartian, German-sounding piano concerto and the other an arrangement of a traditional tune for flute and harpsichord, both of the late eighteenth century. 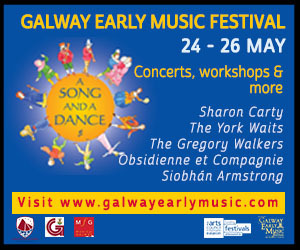 The funny thing about it was that the German-sounding music was by an Irishman, Philip Cogan (1748-1833), and the Irish-sounding music was by a German, Johann Christian Fischer (1733-1800), his once famous Variations on the Celebrated Air of Gramachree Molly. I explained this only after the music was heard and, yes, the effect was as I had hoped. We just don’t expect that Ireland has produced music in an international language, showing the extent to which continental influences reached our all so isolated Emerald Isle with seemingly no problems. It just doesn’t fit into our well-loved set of prejudices. The examples prepared the ground for my next question: is there a relationship between Irish traditional music and composed art music from Ireland? Of course, the answer is a straight and affirmative ‘Yes’. But I emphasised again that I don’t see any necessity for doing this. 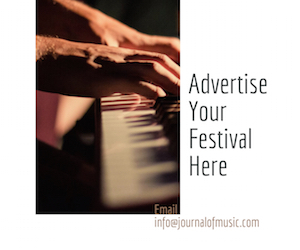 Irish composers are perfectly entitled to write as international a music as they wish, and indeed most of them do so in order to evade the prejudice that all music emanating from Ireland must be folk-music influenced, or for fear that it will be perceived as somewhat parochial and therefore only of limited interest to the discerning international listener. 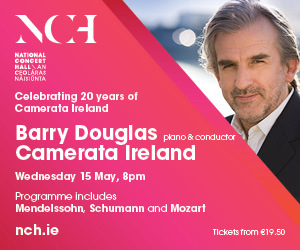 But having said that, of course, traditional music has been an influence on Irish composers ever since, especially as a means to express national identity where it was deemed sensible or useful. The form this would take differs greatly, depending on the historical period, the social and political circumstances and the personality of the composer. And as music says more than a thousand words, I played four short excerpts that illustrated the variety of approaches over time and across various genres. The first one was one of Thomas Moore’s ‘Irish Melodies’, and I deliberately took one of the most famous, ‘The Last Rose of Summer’, which is in the fifth volume of 1813. Moore’s Melodies are so covered in prejudices that I was happy to present my case here. I cannot follow the usual reading of this music as ‘failed folk music’. In fact, the arranger of the music has at least as much an important role as Moore, the poet. This man, John Andrew Stevenson (1761-1833) was heavily influenced by Haydn, who had written accompaniments to Scottish music at the invitation of an Edinburgh publisher. With this connection, Moore’s Melodies sound rather like early nineteenth-century art songs with a heavy folk influence. And as such, they can be very beautiful. Other examples included diverse pieces like the overture to the opera Shamus O’Brien (1895) by Charles Villiers Stanford (1852-1924), the String Quartet in C Minor (1936) by Frederick May (1911-1985), and The Narrow Road to the Deep North (1972), a piano piece written by Seóirse Bodley (b. 1933). Of course, this journey didn’t ultimately ‘redefine’ Irish music, certainly not in any immediate sense. But I had wonderful reactions from all audiences. The largest and most knowledgeable audience was at the Peabody Conservatory in Baltimore, with mostly graduate students among the listeners. At New York, an elderly man came up to me afterwards and said he ‘would never flatter anyone’ but that this lecture had been an ‘eye-opener’ for him. A retired history professor at Princeton compared my work with that of the Georgian Society decades earlier trying to remind the independent Freestate against all odds that Georgian architecture was part of the Irish heritage. Young composers at Baltimore wished they would have someone like me arguing their case when they finish college. I should stop here before it becomes too self-laudatory. I am only telling it to encourage others (Irish people) to continue. Actually, this is your job, not mine. I am sure there is a demand across the Atlantic for new insights. But there is also a thick wall of prejudices in places. I opened one or two doors in that wall and would encourage anyone to do likewise. Not all will open, but we should be happy with those that do.